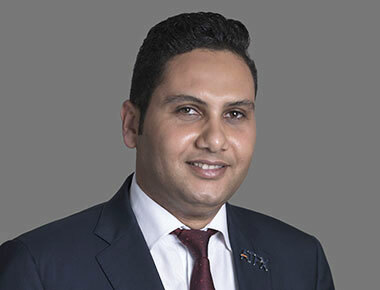 Prior to joining ATFX, Mr. Abouzaid served as the Chief Market Analyst for a large-scale forex company for over 6 years in the UAE and has been in the financial industry for over a decade, where he was responsible for helping clients remain updated regarding market developments, including regulatory changes. 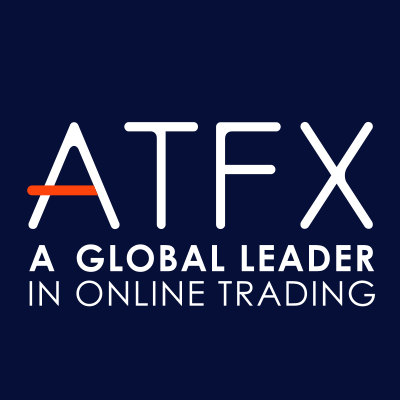 قبل انضمامه إلى ATFX ، شغل السيد أبوزيد منصب كبير محللي السوق للعديد من شركات الوساطة العالمية واسعة النطاق ولأكثر من 6 سنوات من تاريخه المهني تواجد في دولة الإمارات العربية المتحدة ، حيث تمتد خبرته في قطاع أسواق المال لأكثر من عقد من الزمان ، حيث كان مسؤولاً عن مساعدة العملاء على الإطلاع باستمرار على آخر المستجدات والتطورات في السوق ، بما في ذلك التغييرات التنظيمية. Master financial management MBA,The Arab Academy for Banking & Financial Sciences , An expert in technical analysis and technical consultant to several Gulf companies,Holder of Accredited Compliance Officer , ACO certification - ICAS. Topic: Why choose to invest in high risk markets? Mohamed Ragaa is The Instructor in Technical Analysis of Tradepedia LLC for the MENA region. He has more than eight years of experience in the financial markets. 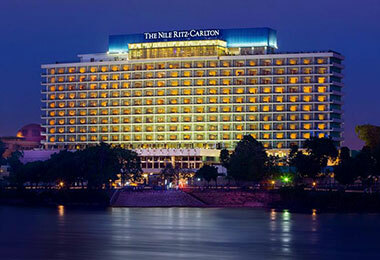 He used to work as Technical analyst and prior to that Sales and Trader for Equities and Fixed-Income for one of the top brokerage firms in Egypt covering different markets. He obtained a Bachelor of Business Administration with concentration in Management Information System as well as a Master of Business Administration with concentration in Investment Management from one of the top Universities in the Middle East. محمد رجاء هو محاضر التحليل الفني لشركة تريدبيديا لمنطقة الشرق الأوسط وإفريقيا. تجاوزت خبرته في الأسواق المالية الثماني سنوات. 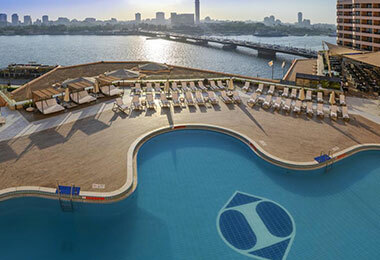 عمل كمتداول للأسهم والسندات في إحدى شركات الوساطة الكبرى في مصر التي تغطي مختلف الأسواق, قبل أن يصبح محلّل فنيّ لديها. حصل على بكالوريوس في إدارة الأعمال مع التركيز على نظام إدارة المعلومات بالإضافة إلى ماجستير في إدارة الأعمال مع التركيز على إدارة الاستثمار من واحدة من أفضل الجامعات في الشرق الأوسط. Mostafa Namira is a business executive with a decade of experience in brokerage and trading stocks, FX, commodities, cryptocurrencies, and derivatives using fundamental analysis, technical analysis, and economic research. Develops and executes trading strategies in equities and currencies markets. Provides consultations and brokerage services in financial markets. Applies financial models, risk analysis, and valuation theories to hunt for investment opportunities. Performs market researches using cutting-edge tools and resources e.g. Bloomberg Terminal. 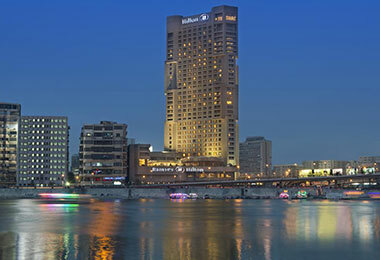 Moreover, Namira has six years of experience as a lecturer in top universities in Egypt. A frequent guest on economic T.V programs in the MENA region and a speaker in various public events. Namira holds a dual degree AACSB-accredited MBA in International Finance and Investment from Hochschule Bremen University in Germany and the University of North Carolina in the U.S.A. with GPA 3.77 out of 4. مصطفى نمرة هو مدير تنفيذي بخبرة تزيد عن 10 اعوام في السمسرة ومتاجرة العملات, الأسهم, والمشتقات بإستخدام التحليل الفني والمالي والبحوث الاقتصادية. يطور وينفذ إستراتيجيات في التداول ويقدم إستشارات مالية في أسواق المال. يحلل المخاطرة في الأسواق ويقيم الشركات لإصطياد الفرص الاستثمارية. هو أيضا محاضر في العديد من الجامعات الرائدة وضيف متكرر في البرامج الاقتصادية على القنوات الفضائية. مصطفى نمرة يحمل درجة الماجستير في الاستثمار والتمويل من جامعة نورث كارولينا في الولايات المتحدة وجامعة هوشولابريمين في ألمانيا. 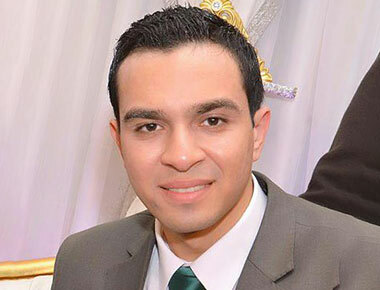 Mohamed Kamel El-Sayed Hanafy, holding a certificate in international technical analyst with a diploma in the Forex market and international stocks from the International Federation of Professional Analysts in America. Holding a Certificate in the field of management and investment and certificates in the field of foreign exchange and shares from Smart Vision No. 559106, along with the certificate of technical analysis expert in the analysis of Elliot Waves from Smart Vision International Certificate No. 956321, and a member of the Egyptian Association of technical analysts. 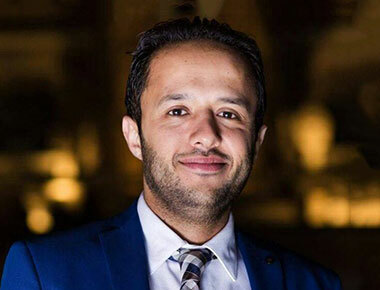 Born in 1992 graduated from the College of Business Administration Department from the British University in Egypt in 2014.Learnt technical analysis since 2012 and began his career as a technical analyst and a provider of signals. Working as a technical analyst, technical trainer and a portfolio manager in the Forex market after graduating from the Faculty of business administration. I also have Over 7 years of experience with many Forex trading companies. Global Market Analyst specialized in technical analysis with more than 8 years of experience and expertise in the price action trading method. 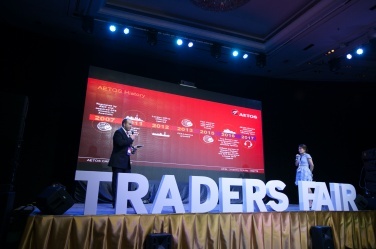 She has taught hundreds of clients the mechanism of trading in the Forex market through webinars and seminars focusing on psychology, risk management, and deliver a successful trading plan. In addition, she represents and provides high quality financial services for top international brokers and banks. Topic: Best time to enter a high quality trade. How Financial Markets Work ? Janet Kemunto is a seasoned crypto trader who has been trading in cryptocurrency for the last four years. Before joining the blockchain space, Janet previously worked with government in the Ministry of Public Service Youth and Gender Affairs, Kenya Wildlife Service as tech consultant and in various innovation incubation centers in Kenya. She is the cofounder of Future Tech Academy (www.futuretechacademy.org ) an IT firm in Kenya that consults in, blockchain, programming, Artificial Intelligence, Internet of Things (IoT) and game development. Her passion in the blockchain space has seen her get invitation to blockchain summits across the globe such as, World Blockchain Summit by Trescon In Nairobi (2018), Crypto Asia in Singapore among many others. She believes that cryptocurrencies are tools for equal wealth creation and distribution. In addition to being a crypto trader, Janet is an innovator and crypto economic consultant who advises organizations in ICOs and STOs. 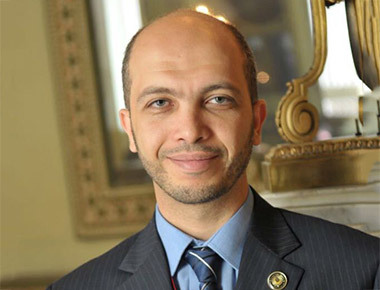 محمد زيدان كبير استراتيجي الأسواق في شركة ThinkMarkets، متخرج من جامعة القاهرة عام 2007 ولديه أكثر من 8 أعوام في مجال الأسواق المالية. كما شغل وظيفة محلل أسواق مالية وإستراتيجي أسواق في العديد من شركات الوساطة العالمية. يقدم تقارير يومية وأسبوعية عن الأسواق المالية باللغة العربية والإنجليزية لتطورات النشاط الاقتصادي لدول المجموعة العشر وماهو متوقع لسياسات البنوك المركزية في ظل هذه التطورات وربط التحليل الفني بالتحليل الأساسي. ويتم دعوته بشكل مستمر من قبل القنوات التلفزيونية للتعليق على أداء الأسواق، و يتم دعوته في المعارض والمؤتمرات المتعلقة بالأسواق المالية. كما يقدم دورات تدريبية تتعلق بتطوير مهارات التداول في أسواق العملات، السلع، السندات، ومؤشرات الأسهم. Certified CFTe as Technical Analyst Expert, Speaker & Instructor in a lot of Events. Experiance more than 14 years in Financial Markets, Build and Manage more trading strategies Manual & Auto. حاصل علي CFTe كخبير بالتحليل الفني من الاتحاد الدولي, محاضر بالعديد من الموتمرات وخبرة 14 عاماَ بأسواق المال. ولديه العديد من استراتيجيات التداول الخاصة ومنها استراتيجيات الية التداول. استراتيجية ادارة المخاطر هي افضل استراتيجية لعام 2018 وتقوم علي مفهوم كيفية تخفيض وادارة المخاطر. Why choose to invest in high risk markets? Group‎‏ هي إحدى المشروعات الاستثمارية ‏لصندوق استثمار الشركات ‏Corporate ‎Venture Capital‎، والتي توفر خدمات تداول ‏الفوركس، والمشتقات المالية، والسيولة، ورأس ‏المال، ومعلومات السوق، وبرامج التداول والعديد ‏غيرها من الخدمات الموجهة لشركات الأعمال ‏والمستثمرين الأفراد. تعتبر ‏ATGM‏ واحدة من ‏الفروع التابعة لمجموعة ‏AT Group‏ وهي ‏ملتزمة بتقديم أفضل بيئة تداول ممكنة للمستثمرين ‏العالميين. Markets.com is one of the world’s biggest CFD operator, regulated in Europe, Australia and South Africa. 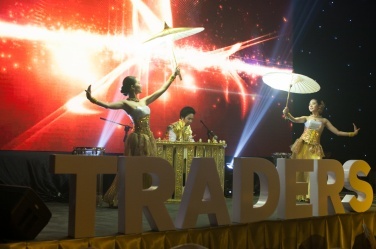 At TradersFair Thailand we are looking to speak to Agents, Business Introducers and potential Country Managers to develop new partnerships on a global scale. We are part of Playtech PLC which is traded publicly on the London Stock Exchange. Cryptocurrency has millions of active users around the world and the number of people is continuing growing rapidly. IQCash team has developed and created Masternode network IQ for Traders, investors and miners. Now traders can trade IQ on cryptoexchanges, investors owning 3000 IQ can get passive income of 57% from the block, and miners get 37% from the block. The remaining 6% of DAO is used to finance approved projects in trading (software, web sites, algorithmic trading systems, startups, improvement of IQCASH ECOSYSTEM) provided by traders. Part of Masternodes are airdropped and will be airdropped among the clients and sponsors FINEXPO projects (leading brokers, banks, financial and investment companies, exchanges, payment systems and etc.). 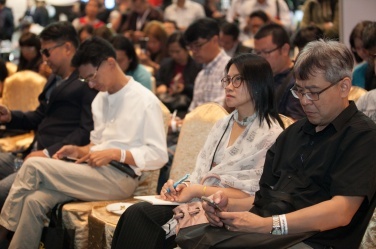 Active Promotion will be made at all TradersFair.com Events. FIBO Group is one of the oldest players in online trading. The company was founded in 1998. We always adhere to the principles of transparent activities, to protect the interests of customers and strict compliance of observance applicable laws and orders of national regulators. Our customers and partners can be assured that all services, provided by any of the companies within the holding FIBO Group, meet the highest international standards and are under the control of national regulators. شركة فييو جروب من اقدم الاعبي في مجال التداول عبر الأنترنيت. تم تأسيس الشركة في عام 1998. نحن دائما نقوم بالسعي وراء شروط الشفافية التامة لحماية مصالح المتداولين و نتيع جميع الشروط المفروضة من طرف المؤسسات المراقبة. يمكن لجميع عملاء و متداولي شركتنا ان يكونوا واثقين من انه كل الخدمات المتاحة في شركة فييو جروب توافق اعلى المعايير العالمية تحت مراقبة المؤسسات الدولية. To enter the TRADERS FAIR 2019 you have to show the mobile app with your personal QR code at the entrance (Menu ->Registration QR-code). In order to get the code install the application to your smartphone and SIGN IN.